This isn't 'Open Mic Night'. Save the ad-libs for your improv class. Before the big day, you should have a very good idea of the order and flow of the evening, the proper pronunciation of important names and, to a very large extent, everything you're going to say that night. That doesn't mean you need to be 100% scripted. There will be those little spontaneous moments where you can inject an appropriate comment or a touch of humor or emotion. After all, that's why the bride and groom selected you to be their MC - because you're good in front of a crowd and can likely tell a good story. But a wedding is an emotionally-charged and time sensitive event and you need to have a plan. Who will be saying the prayer before the meal (if at all)? Who will be speaking and is there a preferred order of speakers? What's the 'tone' they'd like to achieve for the reception? What time do they want to have their first dance (you need to work backward from this time to ensure everyone sticks to the schedule)? Are there any taboo subjects that you and the other speakers should avoid? Yes, it's a party. Yes, it may be an open bar. But you have a job to do. The last thing you need is to botch your hosting duties because you had one too many. Keep the drinking to a minimum (like none) until your main duties are completed (when the first dances begin). Remember, Facebook is forever. And so is the wrath of an angry bride. Prior to the beginning of the reception, make a point of introducing yourself to key vendors, including the wedding planner, site manager, DJ, band, photographer, videographer, etc. A reception entails a number of interconnected and moving parts and everyone needs to know what's coming next. That's your job. A quick hand signal to the photographer or videographer that another speech is about to begin will help ensure they don't miss a special moment. A heads-up to the DJ or band that the first dance will be starting in 10 minutes can help ensure the bass player isn't in the bathroom when the bride and groom are standing in the middle of the dance floor. Confirming with the kitchen that the meal is ready to be served can prevent a long pause between the prayer before dinner and the serving of the first course. This is all on you. So make those connections in advance and stay in communication with these folks throughout the proceedings. Test out the mic and sound system before the wedding party is lined up to march in. For one wedding about a decade ago, I leaned toward the mic to introduce the wedding party and there was silence. It took 10 minutes for the technicians to get it working. Those were valuable minutes that were wasted and that was my fault for not checking in advance. Another time, I made a point of checking the mic in advance and discovered that there wasn't one. This was about 20 minutes before the reception was set to begin. The videographer (who was helping me at that point) asked the manager for a mic, she located one, we plugged it into the band's sound system and tested it out. Ready to rock. Mini-crisis averted. Your job is not to bring up rambling anecdotes throughout the evening and to tell a story or a joke before and after each speaker. To a large extent, your job is to keep things moving as quickly as possible. No one likes long wedding speeches. Be sure to have a strong opening. Be upbeat. Welcome everyone and thank them for attending. Recognize the out of town guests, maybe tell a quick story or two about the bride and/or groom and then get out of the way. Keep your introductions and segues quick and concise. Keep the evening rolling along. Otherwise, the dancing won't begin until 11:00 p.m.
Again, this isn't about you and how funny you are. Funny moments at a wedding can be great but, often, those are introduced by the various speakers (parents, friends, siblings, etc.). A joke told in poor taste can create an awkward moment and bring the good times to a screeching halt. Approach humor carefully. Test out potential jokes on the bride or groom or another trusted friend in advance. 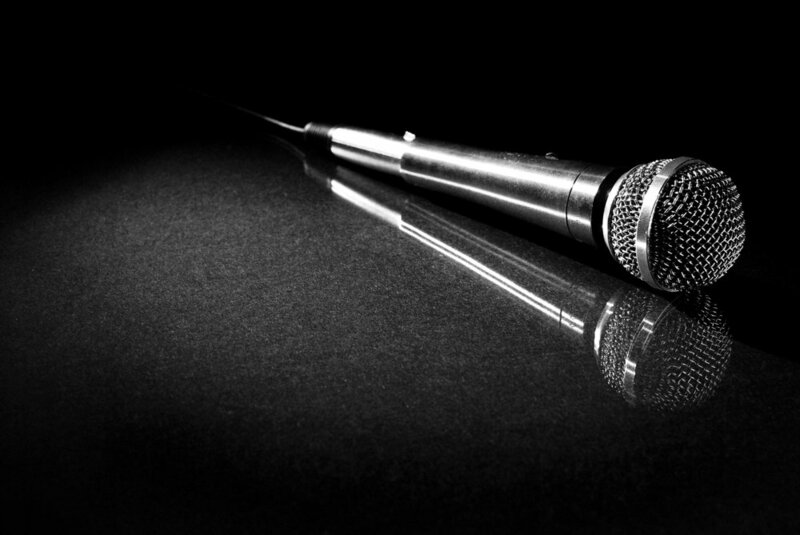 The best way to ensure you'll be remembered as a great MC is to focus on the audience. Are there a lot of out-of-town guests? If so, give them a special welcome or a few interesting facts about the city. Do the demographics of the audience give you any opportunities for a special moment? At one wedding, there was a sizable Slovak contingent. The day before the wedding, I asked someone to teach me how to say a few lines (welcoming everyone to the city and thanking them for helping us celebrate the wedding ) in their language. I had him speak it into a voice recorder on my iPad and I practiced it a lot. That one line, which I delivered in the first two minutes of my introduction, got a huge reaction from the crowd - the biggest of the night - and it got the evening off to a great start. Their reaction wasn't because of my impeccable delivery or pronunciation (actually, I'm pretty sure I mangled the pronunciation). It was because I was thinking about the audience and made the extra effort to connect. As the MC, your role is so important. Your performance can help make the evening run efficiently and it can help make the reception a special and memorable event for everyone in attendance, especially the bride and groom. If you found this post useful, please hit 'share', 'like' or leave a comment, which will help other future wedding MCs to find it as well. Thanks!